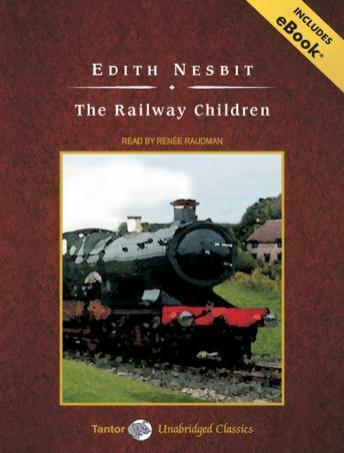 Over 100 years after its original publication, The Railway Children is still one of Edith Nesbit's most beloved and delightful stories. Roberta, Peter, and Phyllis were very happy living in a comfortable house surrounded by a cook and servants and two loving parents, until one evening when there was a knock at the door and their father was mysteriously taken away by two men. Suddenly alone, their mother moves the family to a small cottage in the countryside. There, the children begin a series of exciting adventures, from saving a train filled with passengers from a landslide, to rescuing a baby from a fire, to aiding a penniless Russian exile, to eventually unraveling the mystery of their father's disappearance. The Railway Children was first published in 1906, in a serial included with the London Magazine. It has since been made into several television adaptations and two major films, most recently in 2000.